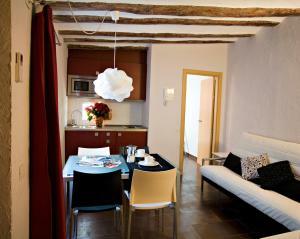 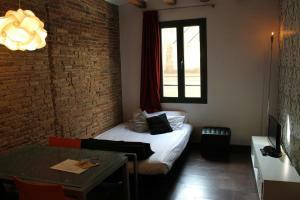 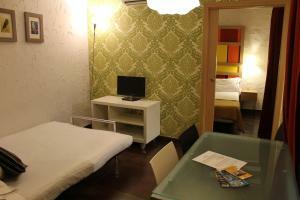 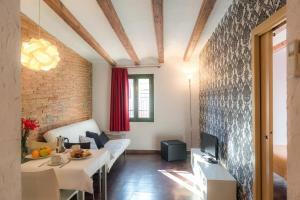 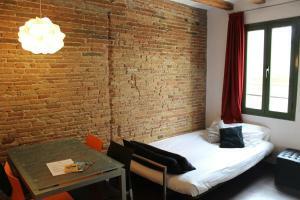 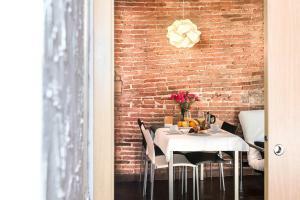 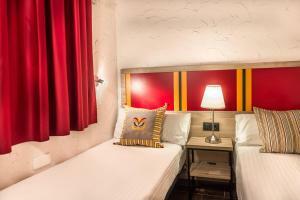 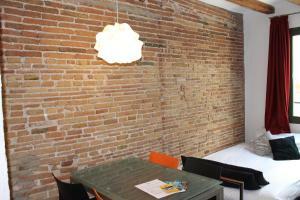 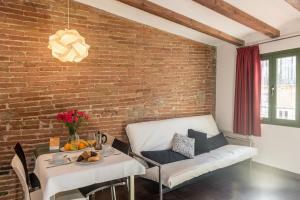 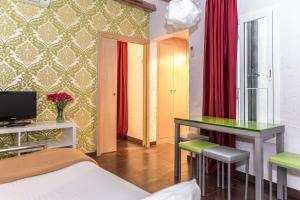 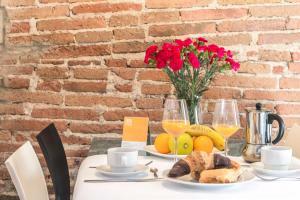 Set just off Barcelona’s famous Las Ramblas, the Apartments Ciutat Vella offer modern accommodation on a pedestrian street in the Gothic Quarter. 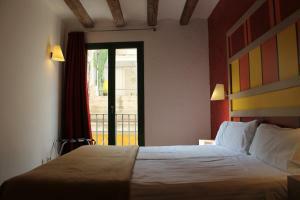 La Boquería Market is just 30 metres away. 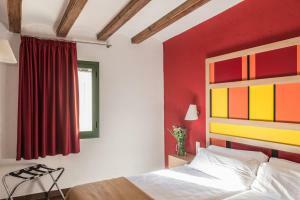 The air-conditioned apartments combine authentic features, such as traditional stone walls and wooden beams, with modern design and free Wi-Fi. 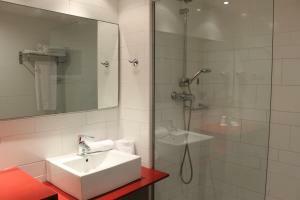 The lounge area comes with a 32-inch flat-screen TV with international channels, and the contemporary kitchen includes a microwave and Nespresso coffee machine. 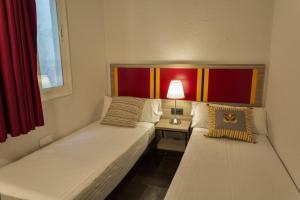 Guests at the Apartaments Ciutat Vella have free access to the outdoor swimming pool at Hotel Ciutat Barcelona. 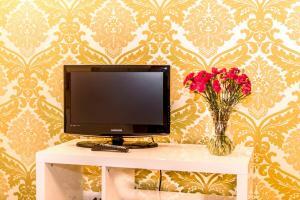 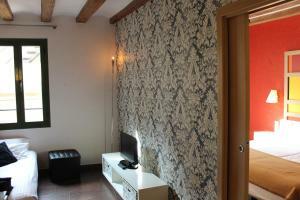 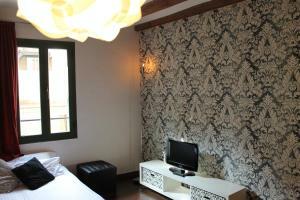 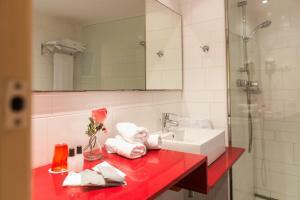 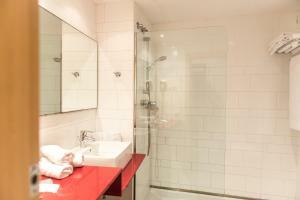 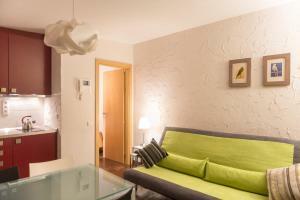 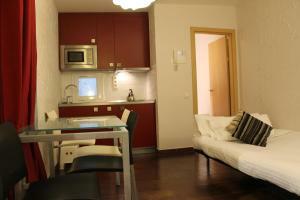 The apartments are surrounded by popular shops, boutiques and cafés. 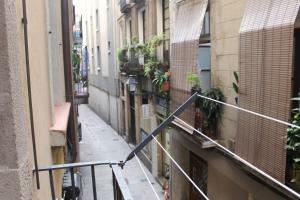 Liceu Metro Station is just 2 minutes’ walk away, and you can reach Barcelona Port and Plaza de Cataluña in 10 minutes’ walk. 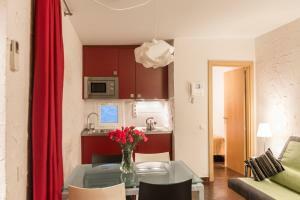 Modern apartment with 2 single beds, bathroom and spacious living-dining room with sofa bed and 32-inch TV with international channels. 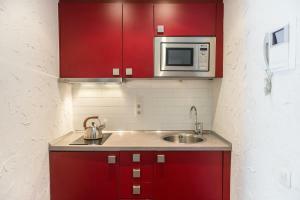 The kitchenette features a gas hob, microwave, fridge and Nespresso coffee machine. 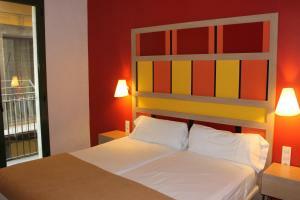 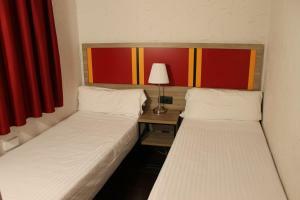 Rate: € 90.09 ... € 227.00; select dates below to get current rates. 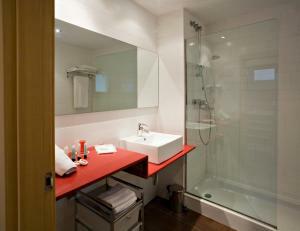 Modern apartment features 2 single beds, 1 bunk bed and a bathroom with bath or shower. 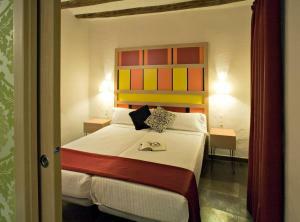 The spacious living-dining room includes a sofa bed and 32-inch TV with international channels. 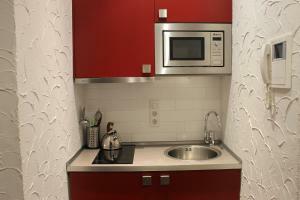 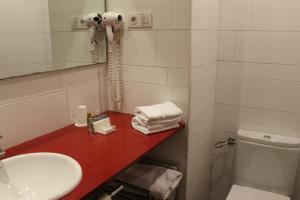 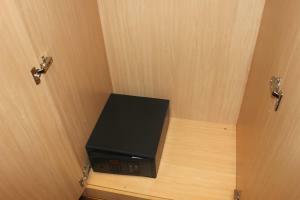 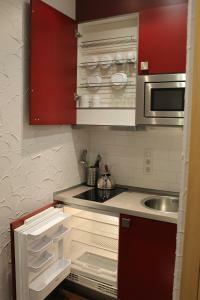 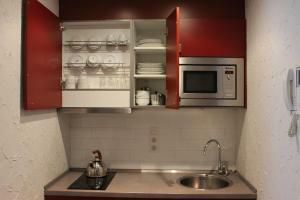 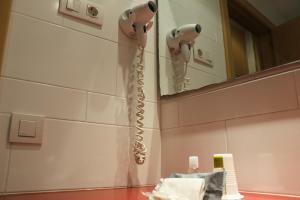 The kitchenette is equipped with a gas hob, microwave, fridge and Nespresso coffee machine. 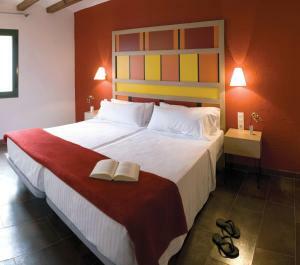 Rate: € 151.97 ... € 191.78; select dates below to get current rates.